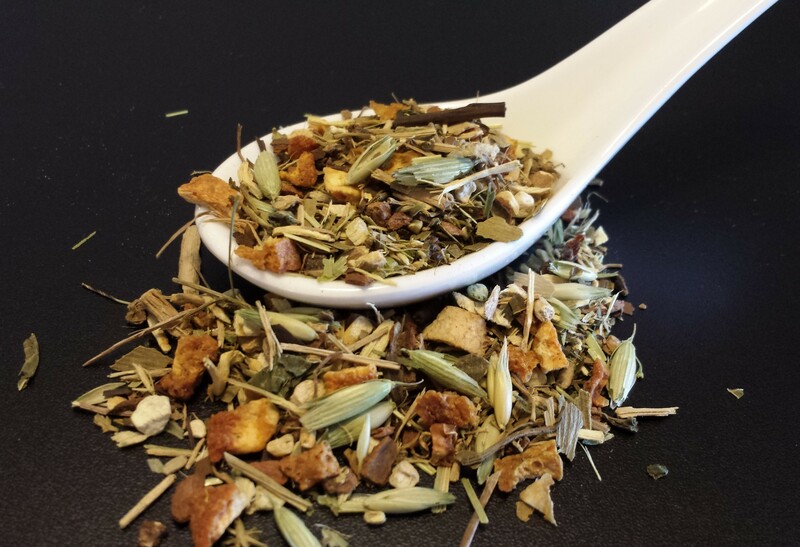 Energize your day with this unique, pleasing blend of herbs historically used for their energizing qualities: eleuthero root, organic cinnamon, orange peel, organic ashwagandha root, roasted yerba mate*, organic astragalus root, ginkgo biloba, gotu kula, organic nettle, organic oatstraw, organic oat tops, organic ginger root, sweet blackberry leaf, and natural blood orange flavor. The balanced, light citrus taste of this blend is sure to start your day off well! *The roasted yerba mate adds a small amount of caffeine to this tisane.